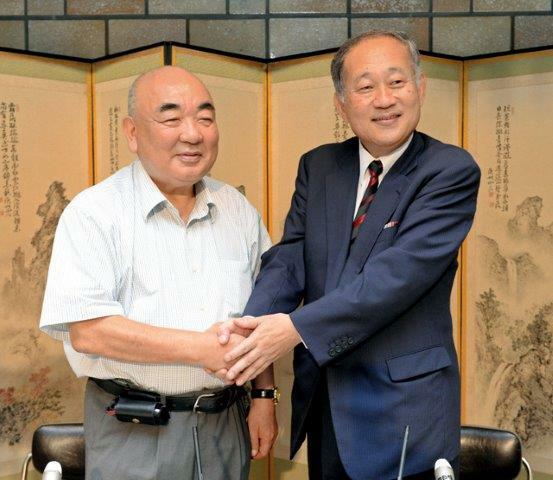 Japan High School Baseball Federation (JHBF) elected Dr. Eiji Hatta (66) as President effective September 16, 2015 to succeed Dr. Takayasu Okushima (76) at the Council and Directors’ Meeting on June 12, 2 days after the meeting of Baseball Federation of Japan on June 10 when Hatta passed the chair to Norio Ichino. Hatta will remain as President of Japan Student Baseball Association, which oversees JHBF and All-Japan University Baseball Federation. President Hatta said following his election that since education is a vital part of high school baseball, he will strive to contribute for the good of student baseball with particular emphasis on education.